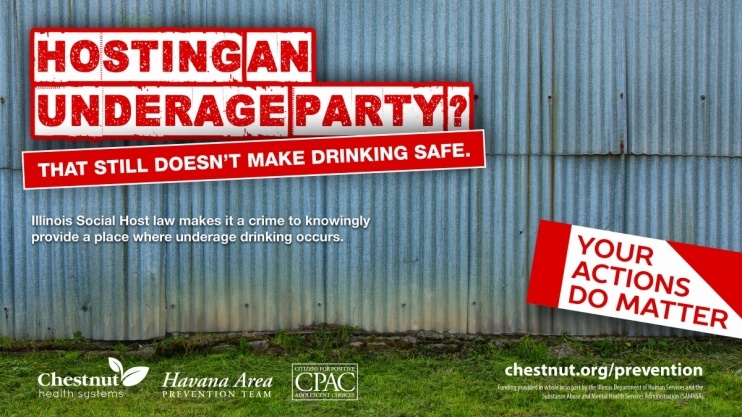 A main goal of the 2015 Logan County IPLAN is to reduce teenage alcohol and drug use. According to the 2016 Illinois Youth Survey, 20% of 8th graders, 35% of 10th graders, and 59% of 12th graders in Logan County reported drinkin alcohol in the past year. Alcohol is the most commonly used and abused drug among youth in the United States. Although drinking by persons under the age of 21 is illegal, people aged 12 to 20 years drink 11% of all alcohol consumed in the United States. More than 90% of this alcohol is consumed in the form of binge drinks. On average, underage drinkers consume more drinks per drinking occasion than adult drinkers. This site was developed in memory of 15 teens who died in Tazewell County traffic crahsed from March 2005 through July 2006. Primarily servicing Central Illinois, DrunkStopper.com has been created to aid local law officers and help bring awareness to teens and families within the communities in an effort to prevent these numbers from occuring. The current focus is on underage drinking parties, fake ID's, and illegal sales of alcohol. Please report any information you may have regarding these activities or any other teen violoation. Your name and personal information are not asked for and your submission will remian anonymous. 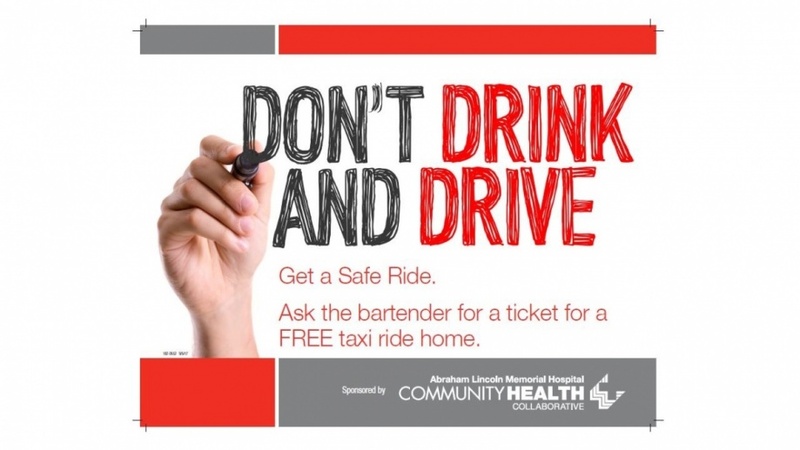 The Abraham Lincoln Memorial Hospital's Community Health Collaborative's Safe Rides Program was formed to aid Logan County residents with reducing drug and alcohol consumption and DUIs. From 2009 to 2013, 39.1% of motor vehicle crash deaths in Logan County involved alcohol impaired driving. Safe Rides is a program designed by the Alcohol, Tobacco, and Other Destructive Behaviors Task Force that gives a free ride home from any bar in Lincoln to a home within city limits. To obtain a free cab ride home, just ask the bartender for a ticket!